Cannot find your industry? Contact us to discover how we can help you. 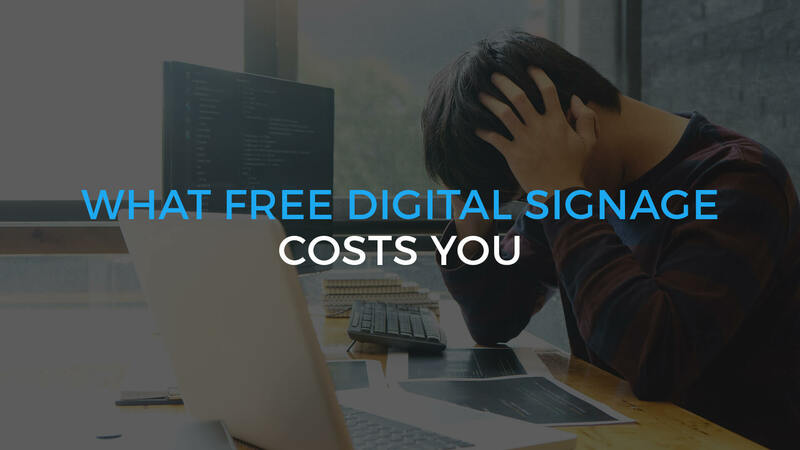 ITESMEDIA offers turnkey digital signage solutions tailored to your market. Our mission is to improve and facilitate communication with your employees and customers. 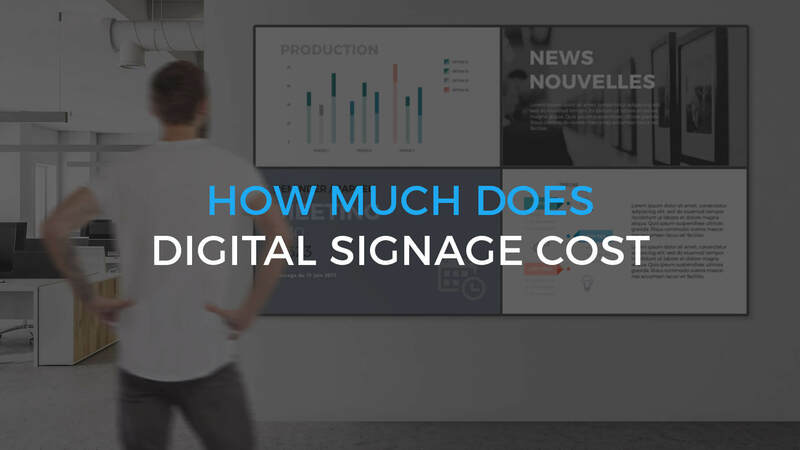 Dynamic digital signage is a communication and marketing tool that allows you to broadcast multimedia content on a monitor, an interactive kiosk or terminal, a tablet, a video wall and an LED panel. With a few clicks, you can modify the content of digital displays and distribution lists based on location and time of day. In addition, being connected to your databases allows you to share with customers and employees important information and statistics updated automatically and in real time. 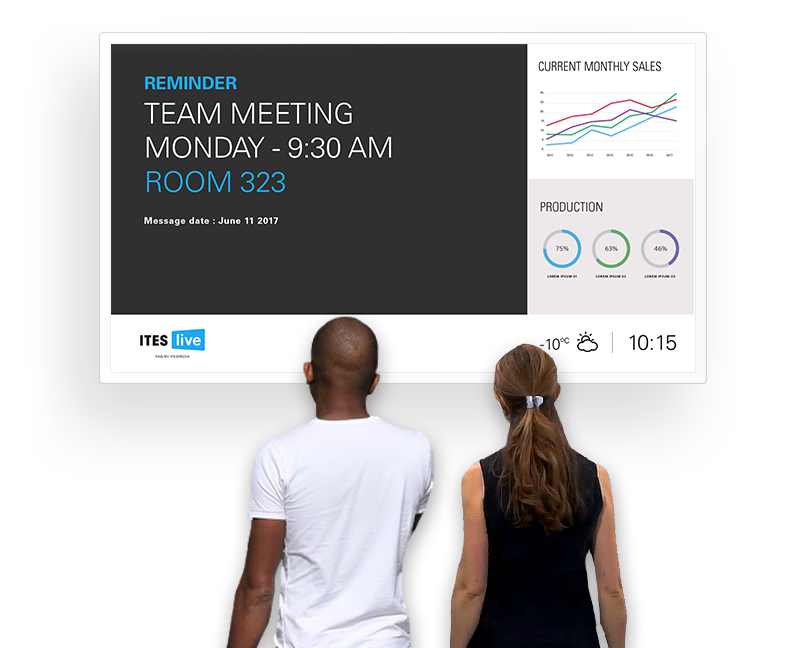 ITESLIVE is a dynamic digital display software that manages the content of screens and automates displays. 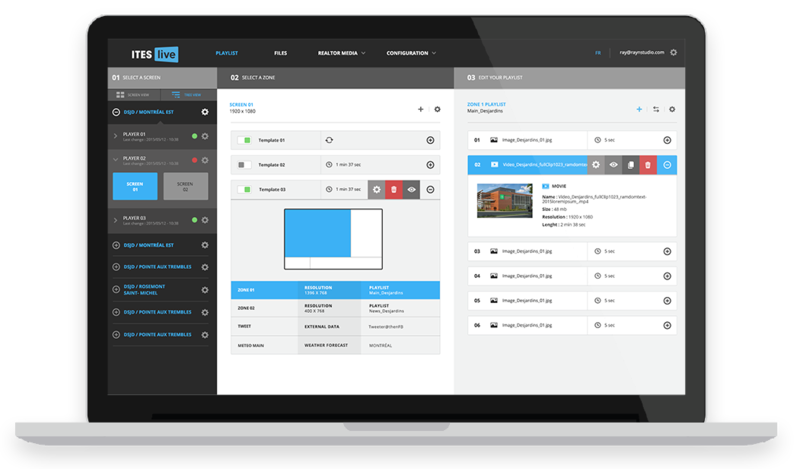 ITESLIVE is accessible anywhere with internet access; the software carries our solutions on a monitor, an interactive booth or terminal, a tablet, a video wall and an LED panel. Our team of specialists will assist you throughout your digital signage project. Dynamic digital signage is possible thanks to ITESLIVE software, which manages and diffuses all contents on different digital platforms. Are you looking for an effective marketing tool or a solution to improve your internal communication processes? cost-effective way to deliver messages to your employees and customers. 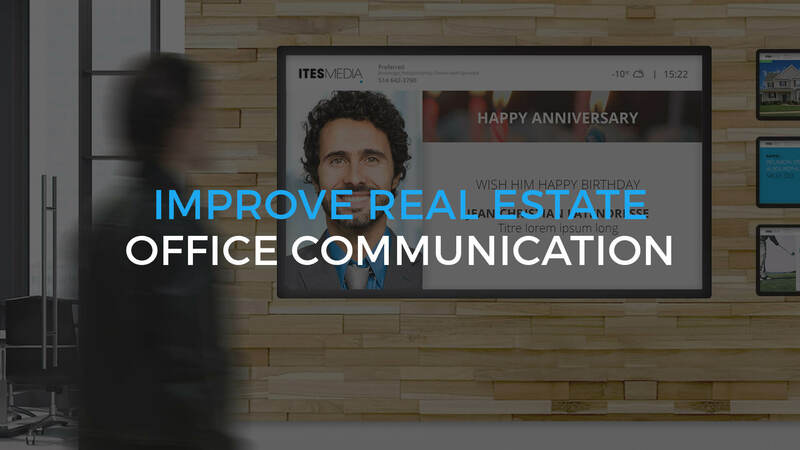 Contact our specialist team to discover how ITESMEDIA can help you with your digital signage and interactive kiosk projects.